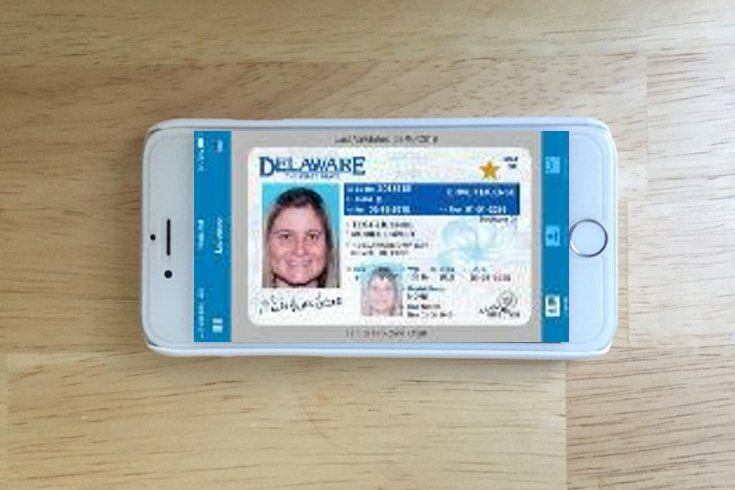 Delaware is testing out mobile driver's licenses. Are driver's licenses destined to move from our wallets to our smartphones? Delaware intends to find out. The state department of transportation announced Tuesday the launch of a pilot study for mobile driver's licenses, or mDLs. The program, which includes about 200 state employees and stakeholders, will run for six months and test the usability of the concept. Secretary of Transportation Jennifer Cohan said the goal is to find out how mDLs work in "real-world scenarios" so officials can address any problems before Delaware potentially adopts and implements the program for more than 800,000 licensed drivers and ID card holders. Among the predicted benefits of mDLs are privacy and expedited traffic stops. The mobile licenses won't need to show a person's address, license number and birthdate, only confirming someone is older than 18, while police will be able to "ping" a driver's cell phone while walking up to a vehicle to obtain that person's license information. Officials want to see how businesses react to mDLs and how easy they are to use. The state also wants to ensure mDLs are secure and that only the license holder can unlock and access them. "It is our responsibility to always bring the best-in-class offerings to our State and an mDL holds the promise of offering an always-updated, secure credential that will be easy-to-use by our consumers, businesses and law enforcement," said Scott Vien, Director of the Delaware Division of Motor Vehicles. Delaware isn't the first state to try mDLs, as Colorado, Idaho, Wyoming, Maryland, Virginia, Iowa and Washington, D.C. have all run pilot programs. However, no state has made mDLs permanent and accessible to all ID holders.